This is an excellent DIY way to make a significant change in your home with not too much effort! Set aside a weekend where you’ll have time to complete a little painting project. A minimal investment in your home will have maximum impact on your style! Check out our list of what to paint first and go boldly into the dark side. Simply painting a door will change the look instantly. If you’re not ready to go fully black, painting a door’s trim black can offer a similarly fresh and look. 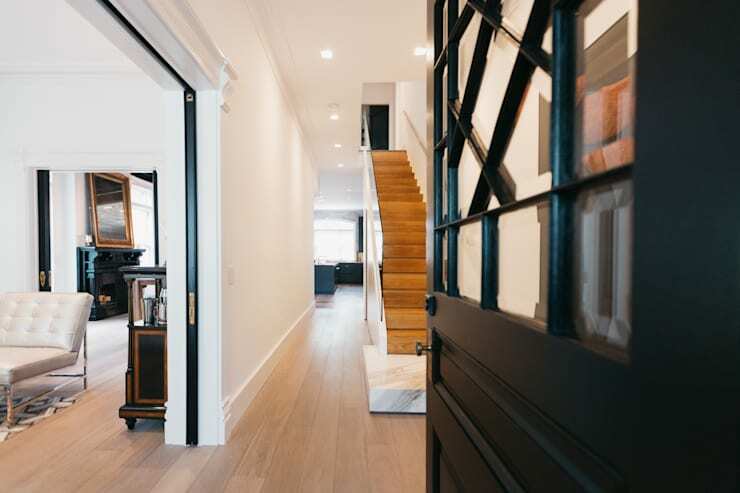 The professionals at Fluid Living Studio used black doors to accent the home. You can paint any interior door black for more sophistication. Painting your front door black will add a touch of drama! Stair railings look great when they’re painted black. They suddenly stand out more and help frame the room. 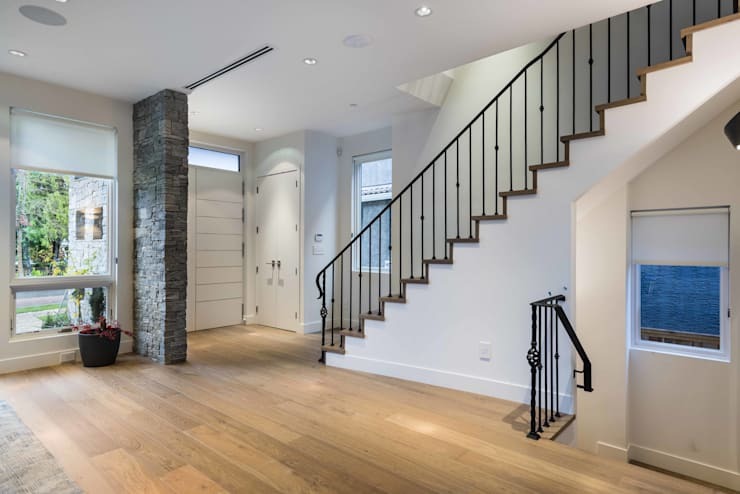 The architects at Alice D’Andrea Design know now to make a black staircase look elegant. Try to paint railings, bannisters, or the stairs themselves. Make a kitchen look bold and modern by painting your cabinets black. Painting them all over will make them recede into the background more. Perfect for a kitchen with an overwhelming number of cabinets. Painting only some of them black will create a two-toned look that brings more fun and depth to the kitchen! This kitchen by Alice D’Andrea Design uses a combo of black and grey cabinets. 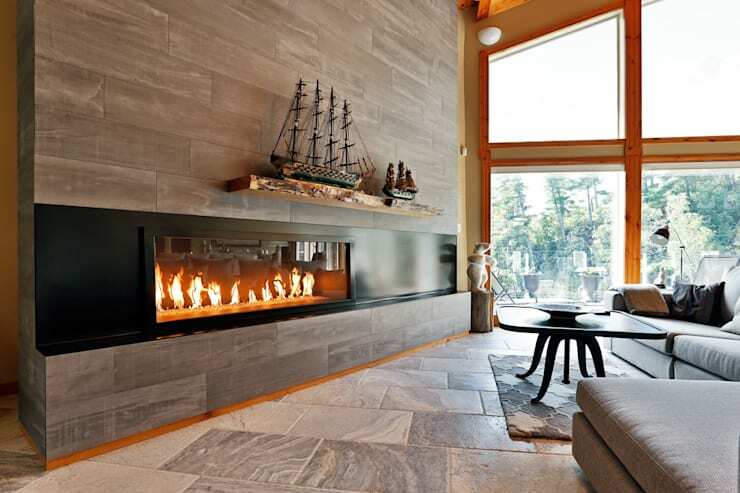 Highlight your fireplace by painting it black! A matte finish will make it look soft, while a glossy finish reflects firelight and creates a unique glow in your living room. The architects at Unit 7 created an elongated black fireplace that acts as a style anchor for the room. If it was white or brown, it wouldn’t stand out. The truly adventurous DIY painter can try painting black walls or ceilings in their home. 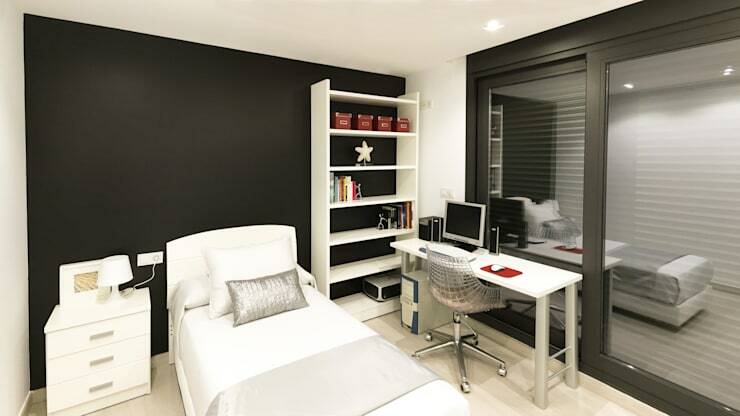 This bedroom with black accent walls by Arqubo looks more dynamic thanks to the paint job! A black ceiling is a trendy way to make a large space feel cozier. It works well in a bright room with high ceilings and gives your home an urban look. Try painting your bookshelves black and see the difference it makes. Black shelves help frame your books better and show off your favourite titles. 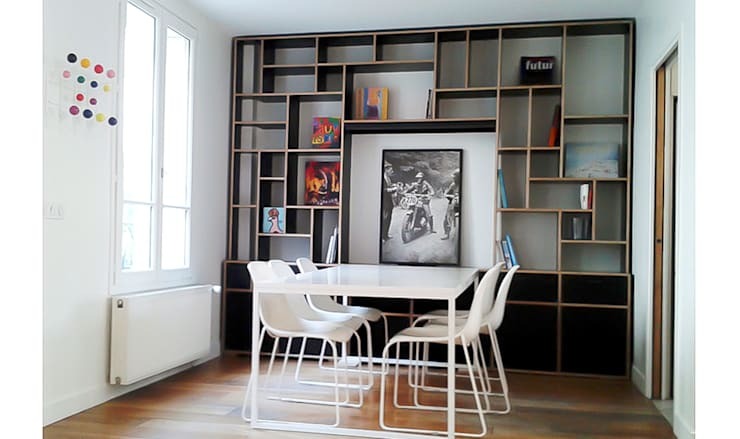 This modular shelf unit by Furn adds a contemporary edge to the room and shows off prints, collectables, and books. Want to go old school? All the way back to school? Create a chalkboard wall in your home! This unique feature is a space where you can let creativity flourish. 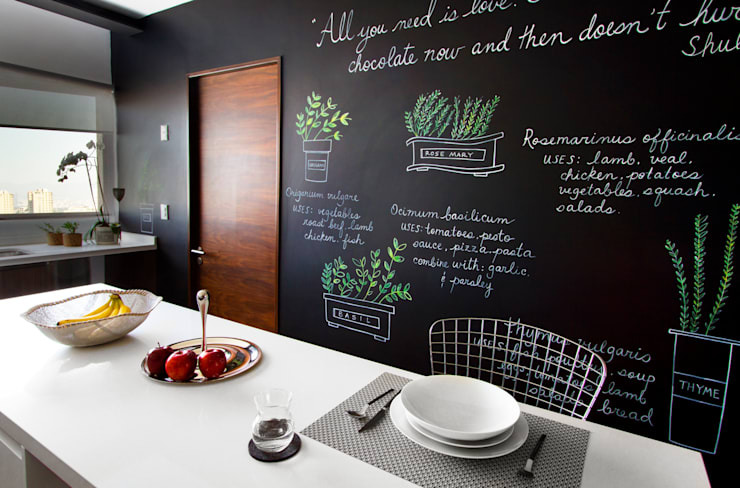 The experts at Collecto created this fun kitchen chalkboard wall. There’s no limit to the designs, styles, and moods you can create with a wall as a canvas. Need more DIY inspiration? Check out our feature on 9 ways to update your home decor for under $50. What else looks great painted black?